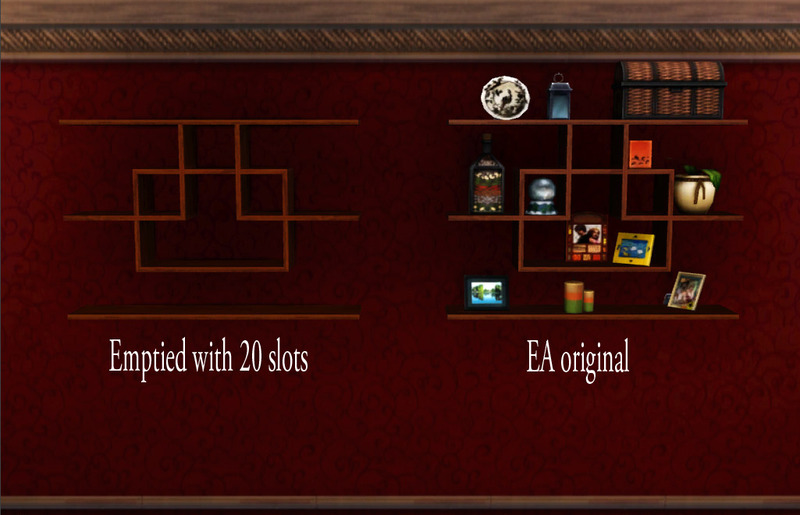 Now you can put your own knick knacks on this previously useless shelf. 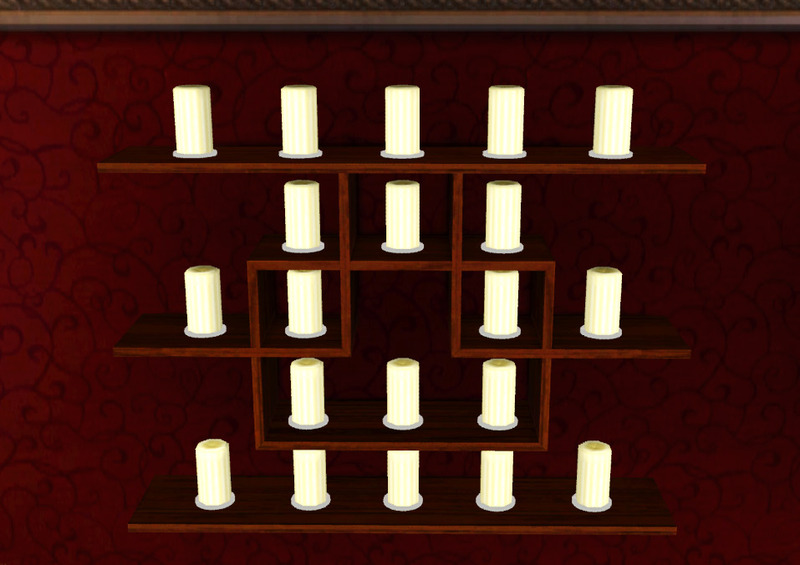 It now has 20 slots, cost 75, and can be found in Surfaces/Misc. Comes with the original presets. Issues:Furniture can be placed under the shelf, but only before you place anything on it (but a filled shelf can be placed over funiture). If you have problems placing an object, try it from a higher angle of view. Updated: Versatile Glass Shelving:5 levels/2 choices of uprights. Freestanding or for walls.